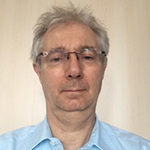 Jean-Marie is the Chairman of HEPTech, the IP network based out of CERN covering 26 institutes in 16 Countries. Jean-Marie is a senior physicists at CERN in charge of the Collaboration Spotting project. The toolset is currently in use at CERN for identifying leading industrial players in technologies that are strategic for the research programme. Developments are underway to use the toolset in the software of the LHCb experiment. An interactive visual graph navigation toolset for multi-dimensional data in visual analytics. Visual analytics the science of analytical reasoning facilitated by interactive visual interface offers an excellent environment to tackle complex problems of highly connected nature such as those related to the exploitation of Big Data. This talk will present the toolset and will explore various use cases.